The Department of Economics is one of the oldest and most recognized units at Iowa State University. It is currently jointly administered by the College of Agriculture and Life Sciences and by the College of Liberal Arts and Sciences. Read the Department Governance Document. Iowa State University is classified as a Carnegie Foundation Doctoral/Research University-Extensive, a member of the Association of American Universities (AAU), and ranked by U.S. News and World Report as one of the top public universities in the nation. Our undergraduate programs strive to train students to think independently and objectively about the inherent economic nature of many of the world’s problems, from basic decisions facing businesses and individuals, to the performance of the macroeconomic system, to global resource utilization issues. Our graduate programs emphasize rigorous analysis and advance training in economic theory, econometrics and several traditional and novel applied fields of inquiry. Research programs are targeted to a number of local, national, and international problems and cover a broad spectrum, ranging from theoretical disciplinary perspectives to applied economic and policy analysis, as well as contributing to exciting multidisciplinary efforts. Our engagement with Iowa’s economy and community is rooted in our extension programs, and also benefits from our faculty’s participation in a number of affiliated centers. 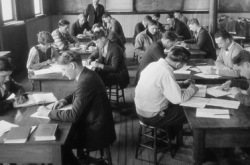 Economics courses have been offered at Iowa State University since the institution first enrolled students in 1869. The East Hall addition was completed in 1970, the 65th anniversary of the department. 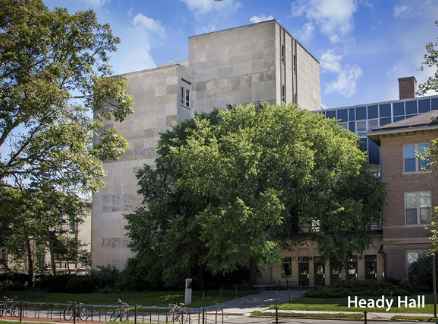 In 1982, it was renamed and dedicated as Earl O. Heady Hall. Learn more about our history in our online time line.